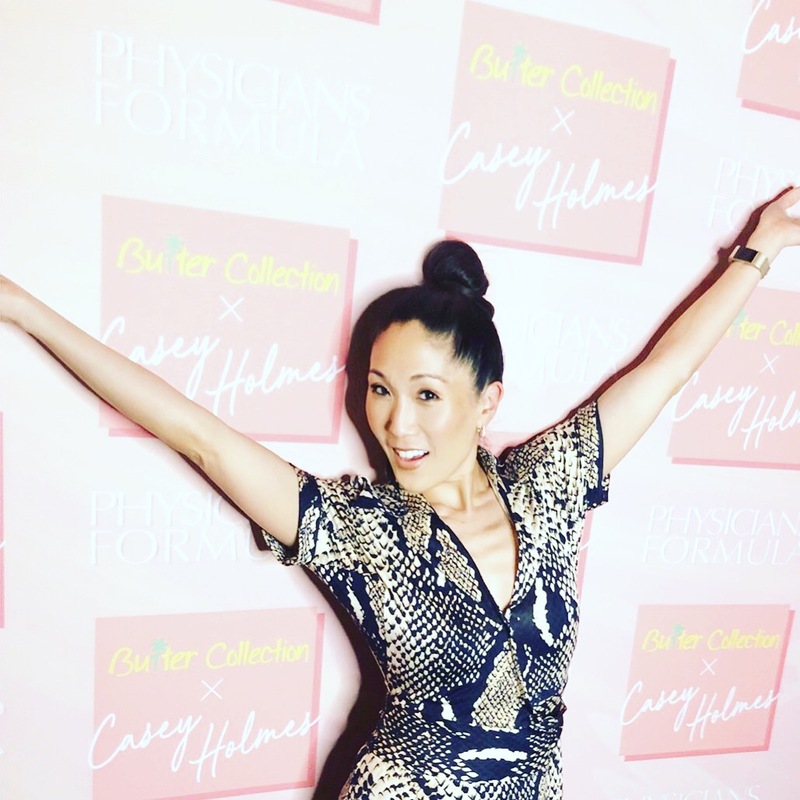 Last month, I attended a fab Physicians Formula and Casey Holmes event at the roof of The Line Hotel and it was glam madness all around! Upon entering, they handed me cold coconut water (in a coconut!) and then dolled me up with all the glitz and bronzer in the Casey Holmes Butter Makeup Collection. I was lucky to receive the makeup collection (which is a $70 value and sells for $19.95) as it sold out in MINUTES online and in stores. 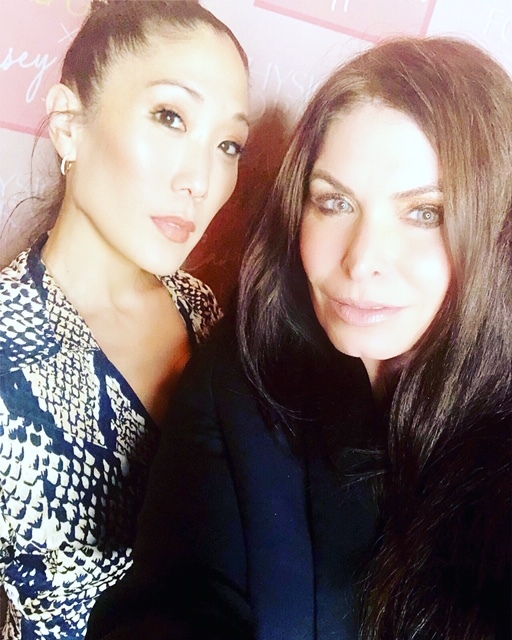 All the super cool beauty influencers were there like Stacy Cox, Candy Washington, Penelope Ramirez, Rachel Anise aka Beauty Professor and Casey Holmes herself. I’ve been a fan of Physician’s Formula for years. So imagine my gasp when I heard that they teamed up with expert beauty vlogger, Casey Holmes, on a makeup collaboration that’s super caliente like the tropics! The kit is a Casey-curated treasure chest of shades for eyes, lips, and complexion. This palette offers all the products necessary to create lush, tropical makeup looks. Including Butter Bronzer, Butter Blush, a NEW limited edition Butter Highlighter shade, a NEW limited edition Butter Lip Cream shade, four NEW limited edition Butter Eyeshadow shades, and our Butter Paradise Eau de Toilette. ++And the best part is the key ingredients are good for you and your skin! Can we say anti-aging provitamins, essential fatty acids, murumuru butter and tucuma butter?! Go get your kits now before it sells out for good! K BEAUTY FOR THE HAIR :: UMMA’S GOOD HAIR DAY OF SEOUL – AVAILABLE AT COSTCO!